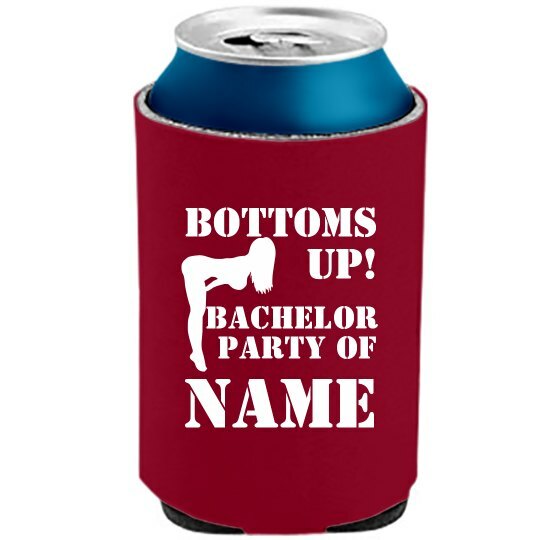 Customize can cooler for your bachelor party. Insert the "lucky" bachelor's name where it says "Ethan's". Custom Text: BOTTOMS | UP! | Ethan's | Bachelor | Party!